Thank u so much for your likes and comments. 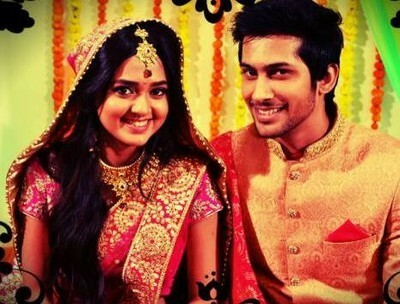 Recap: Laksh meets Sharmishta and Shobha. Sharmihs; you are late Laddo. Ragini:; there was an emergency maa. Ragini: ma my work is more important to me. Sujatha: So how was the meeting Laksh? Laksh: there was some emergency so she went to office. RP: Its ok you can meet her another day. Laksh; i mean i don’t think there is a need for us to meet again. Laksh goes to his room. Shobha: its really sad that you didn’t get a chance to meet him. Right Ragini. Ragini: what?…oh i should have guessed it ..you are behind this. Ragini; what do you want? Why are you doing all this? Shobha: i think i have already told you isn’t Ragini. Shobha: I will not stop until i get what i want Ragini. Ragini: and i’ll never let you have it. Shobha: you know me Ragini. I’ll go to any extent to have it. Ragini: dont forget i know everything..everything that you did to Shekhar papa. I am quiet because i dont want the family to split. Shobha: what have i done to Shekhar? Shobha; you are wrong Ragini. Its you who are responsible for his death. And i have enough proofs for it. Shobha: better you do as i say or else i’ll tell the truth to Sharmisht and Rakhi. Shobha: calm down Ragini..none of these things will happen if you listen to me and do as i say. Shobha: this marriage wont happen. That is what i want. Ragini: what is this god…why is this happening to me. Shobha’s words were echoing in her ears. Yes she was responsible for Shekhar’s death.